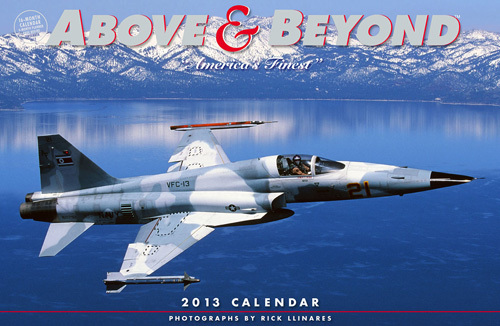 Aviation Photographer: Rick Llinares - Military Aviation photographs, calendars and books. 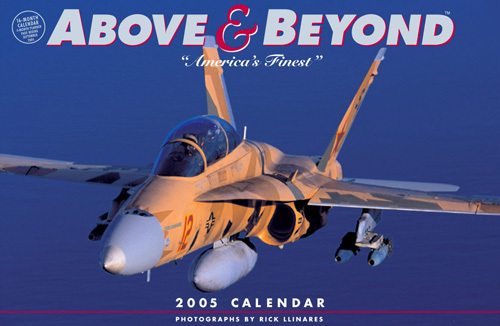 The Above & Beyond aviation calendar, since its initial publication in 1996, has become the premier publication of its kind highlighting the mission, personnel and flying machines of American combat aviation since 1996. 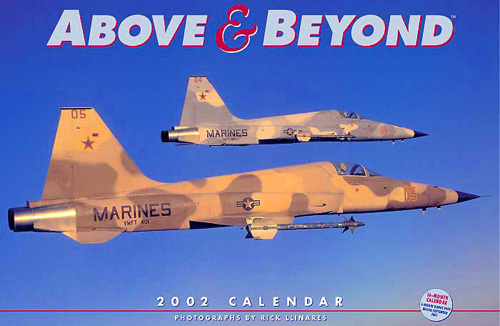 Over the course of its nearly 20 years in publication, hundreds of thousands of copies of the Above & Beyond calendar have been sold worldwide. 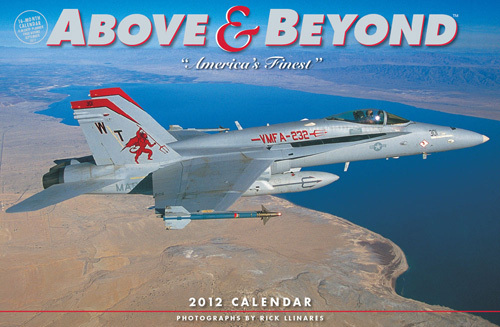 No other publication of its kind promotes the power, grace and scope of the combat aviation forces of the United States of America. 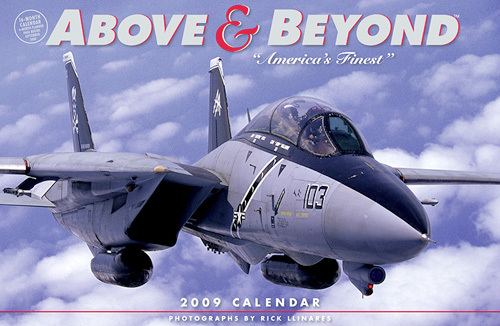 The idea and unique design concept for the calendar was the brainchild of aviation photojournalist Rick Llinares, and Leonard Phillips, the President of Gladstone Media. 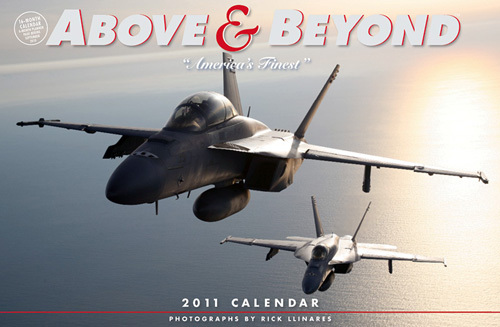 The driving goal of the calendar is to match stunning aerial photography with informative captions that captures modern American air power across the major military services. 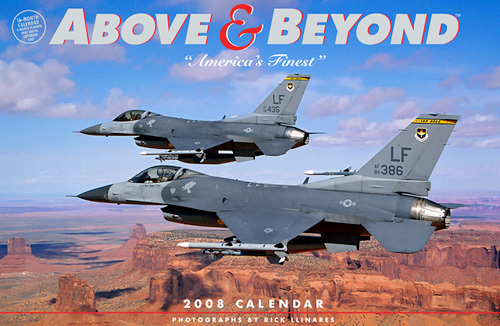 The selection, editing, captioning and pre-production process is painstakingly managed by Rick and Leonard; the typical calendar will go through a process that takes months to prepare for printing. The 25 images selected for the calendar are gleaned from an ever-growing inventory that encompasses thousands of 35mm slide and digital photographs. 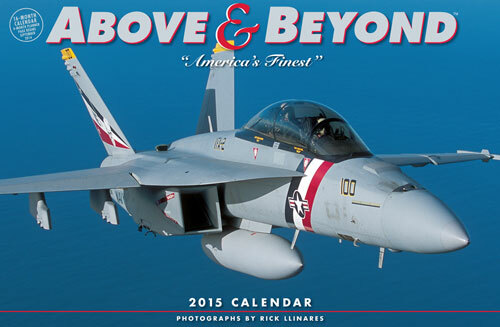 In partnership with Gladstone Media, a leading supplier of calendars, Rick and his company, Dash 2 Aviation Photography co-publish the Above & Beyond calendars every year. 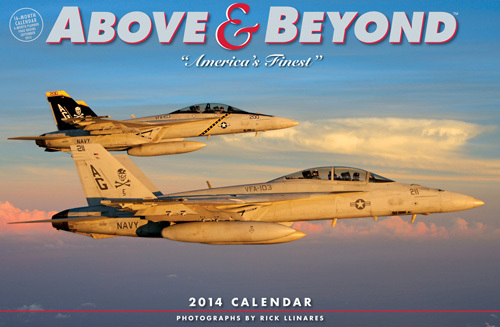 The calendar can be purchased at prominent retailers and on the web through numerous online retail sites. "With every flight that I take, my primary focus is getting that great shot that will be dramatic and evocative enough to make the cut for Above & Beyond." 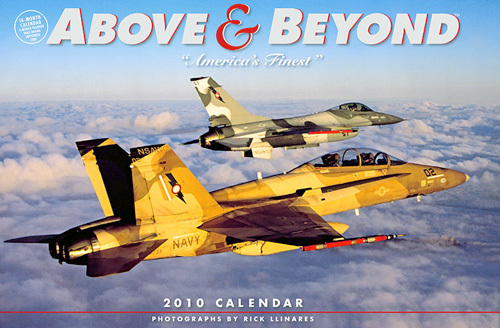 "A great deal of effort and preparation goes into every photo flight to ensure all the necessary elements of a great aviation photo - lighting, background, paint schemes, ordnance loads, flares, maneuvers are briefed pre-flight in great detail. And some times you just get lucky too." 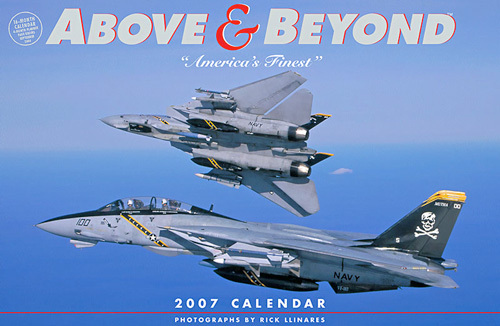 "For those long time clients of the calendar, you will notice we continue to add the venerable F-14 Tomcat every year. It's a favorite of ours and I have a large inventory of great shots of the big cat. 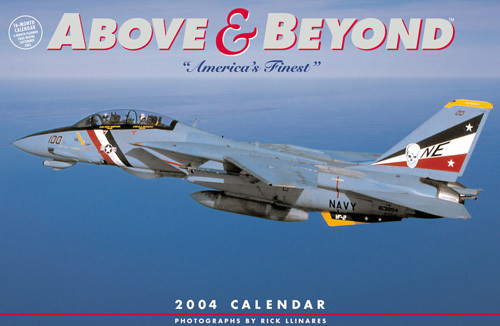 With the F-14, our motto remains faithfully 'Anytime Baby'." Rick's given callsign is Ralph for his propensity to get airsick. 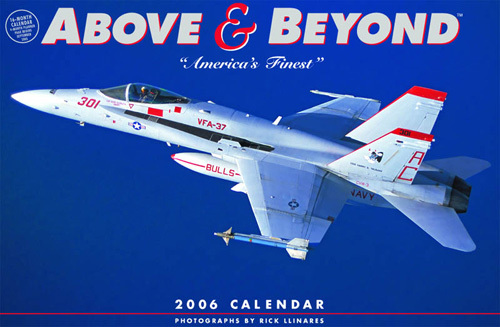 "I was in the backseat of a Navy F/A-18B Hornet during a Top Gun flight giving back my breakfast and the crusty pilot up front came over the ICS and said "Hey Ralph, you gonna be able to take some photos of the F-5's we are chasing?" Like many callsigns it's worn with pride, and is embarrassingly accurate. While back seat jet hops are cool, Rick prefers to shoot out the open back door of a C/KC-130 Hercules. 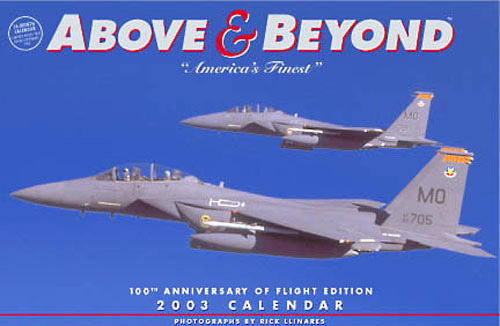 Rick explains "Nothing beats shooting out the open rear door, no glass or glare, just the subject aircraft a mere 50 feet away." Rick is tethered to the deck in a harness so as to not depart the Herk photo bird which would be a bad way to end a photo hop. Rick uses Canon EOS digital cameras and lenses. The pilot shots that grace the inset images are selfies of Rick. "I position the wingman over my shoulder. I use a small mirror that allows me to get a sense as to the proper position and what the camera will see. Once the wingman is in the right spot, I manually focus the shot and set the depth of field, then put my visor down, snap the oxygen mask on and turn the camera around for the shot." It's the only way to simulate the pilot/wingman shot that is a favorite of Rick's and a staple of many Above & Beyond issues. Rick holds a First Degree Black Belt in American Combat Karate.